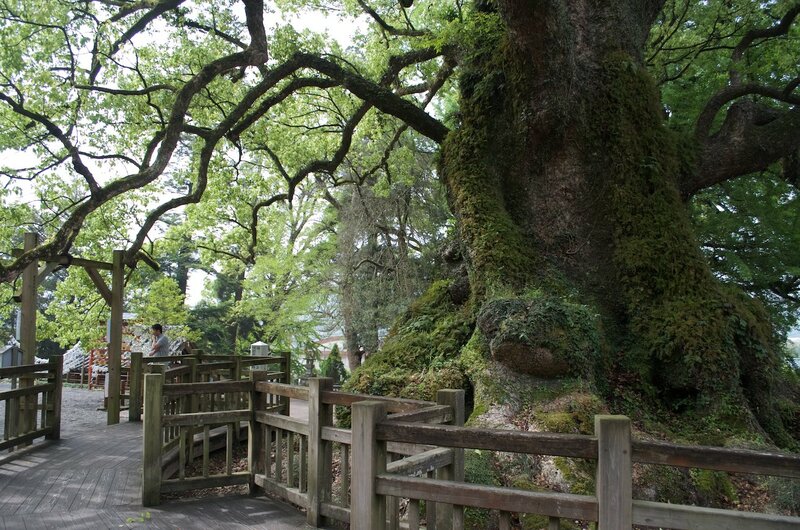 As you walk towards the shrine, Japan's largest tree is on the left. 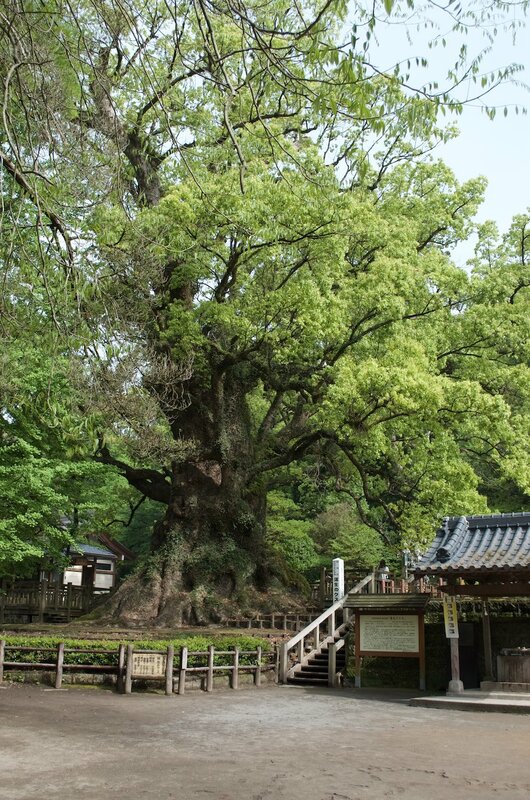 The massive camphor tree close to the shrine is estimated to be in the ballpark of 1,600 years old. 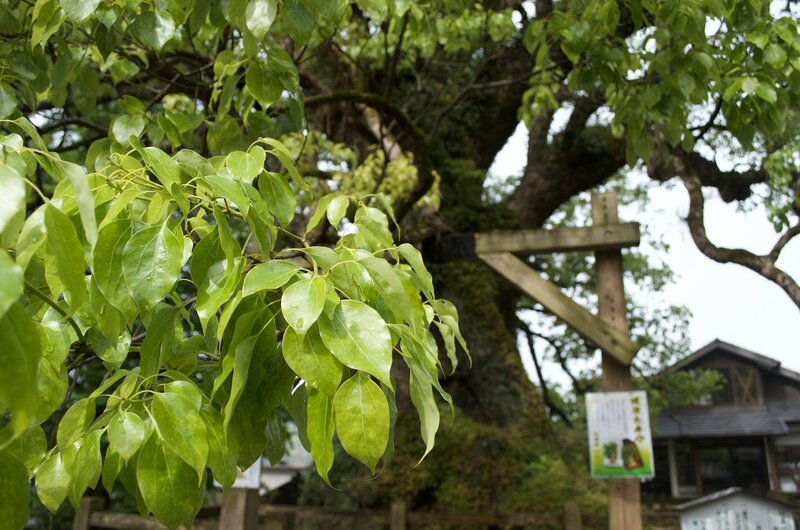 In 1988, the Ministry of the Environment recognized it as Japan's largest tree. It was named a natural monument of Japan in 1952 and has received further honors from the city and prefecture. It stands 30 metres high (about the maximum height for its species of tree) and has a circumference of 24.2 meters at 1.3 meters off the ground. The ravages of time have left it with 13 square meters of hollowed out empty space inside the trunk. 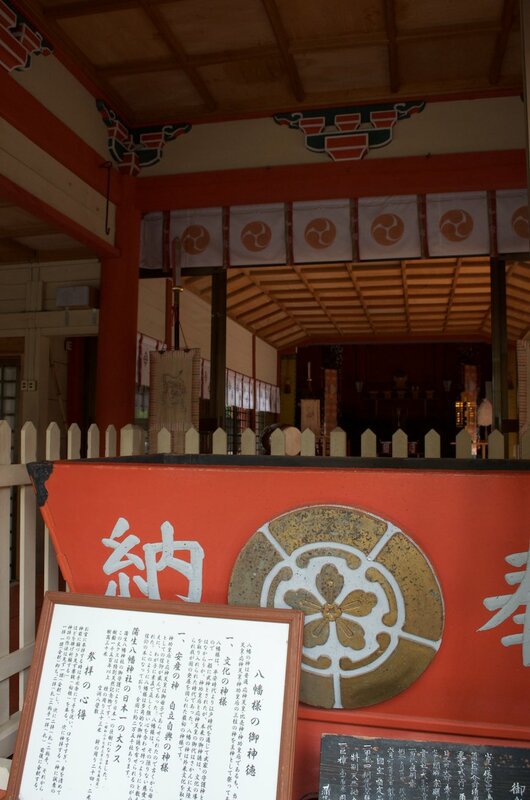 In Japanese it is referred to as the Kamou no Kusa (蒲生のクサ) after the shrine. 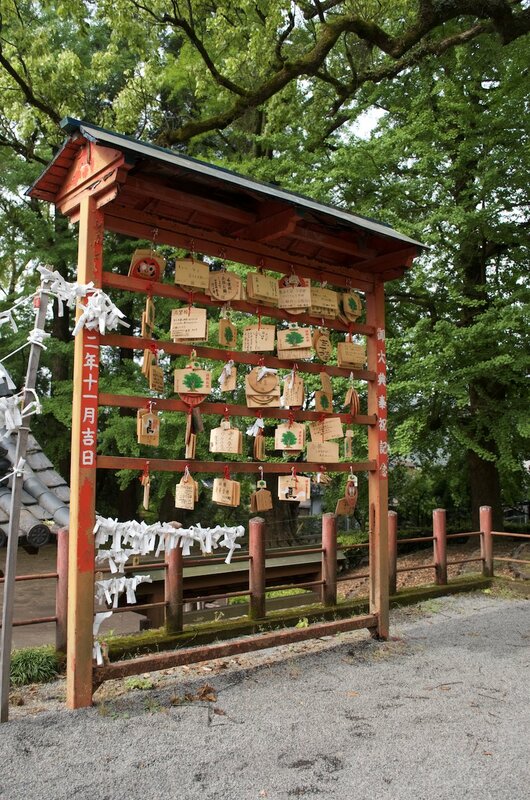 From the founding of the shrine in 1123, it was revered as a sacred tree. It has more than once suffered serious harm and then bounced back. A fire burned part of its trunk in 1506. In 1985, A typhoon stripped away many of its branches and leaves. In this case, local conservation efforts helped nurse it back to health. 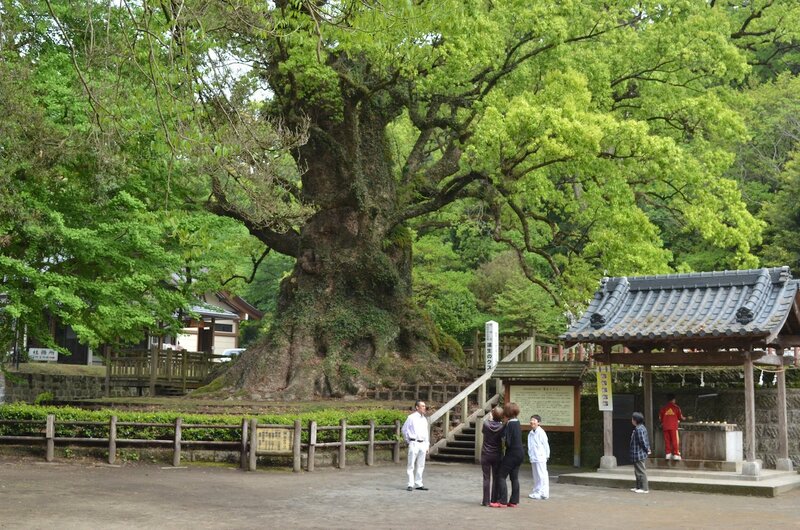 This gnarled tree was named the largest in Japan in 1988. It is estimated to be 1,600 years old. The Gamou clan founder was related through his mother to family of the chief priest of Usa Hachimangū in northern Kyushu. 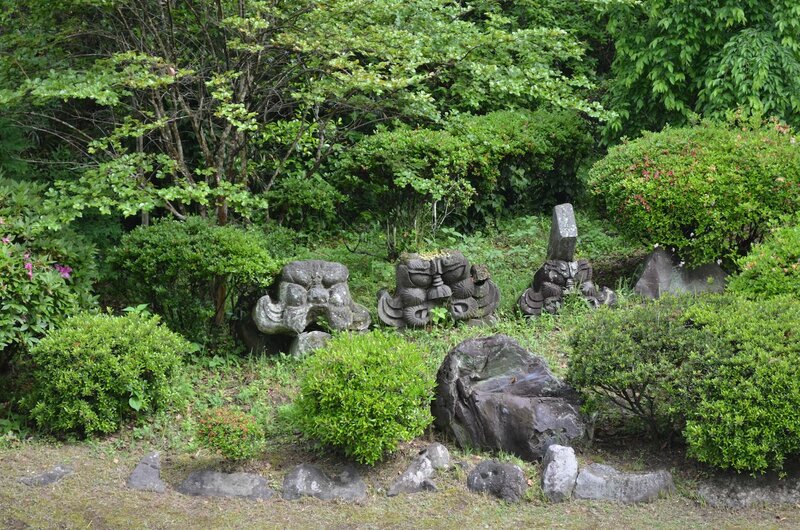 This connection resulted in an offshoot shrine within his territory in southern Kyushu being founded in 1123. The Gamou clan fought a vicious and unsuccessful conflict against the Shimazu clan during the late Muromachi period. Made vassals, this founding clan continued for a while until complete banishment in 1557. 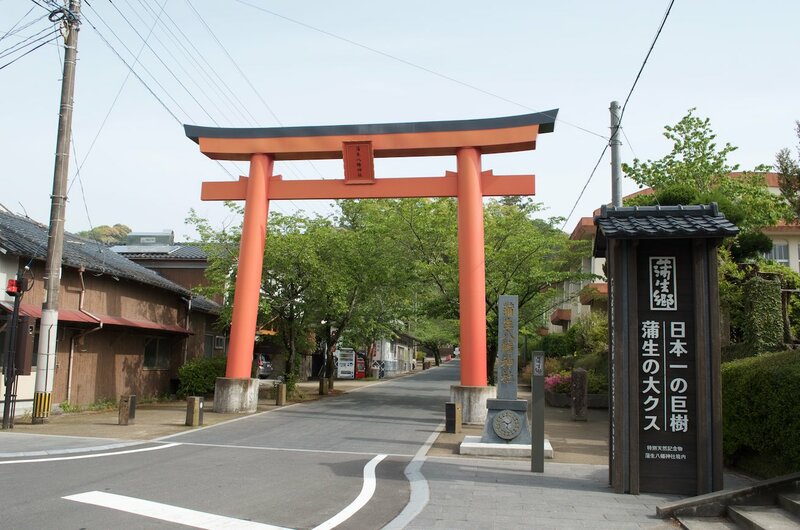 The Shimazu clan revitalized the shrine in 1618 and added the gate. In 1985, the main shrine building was greatly damaged by a typhoon. The current building is its reconstruction. 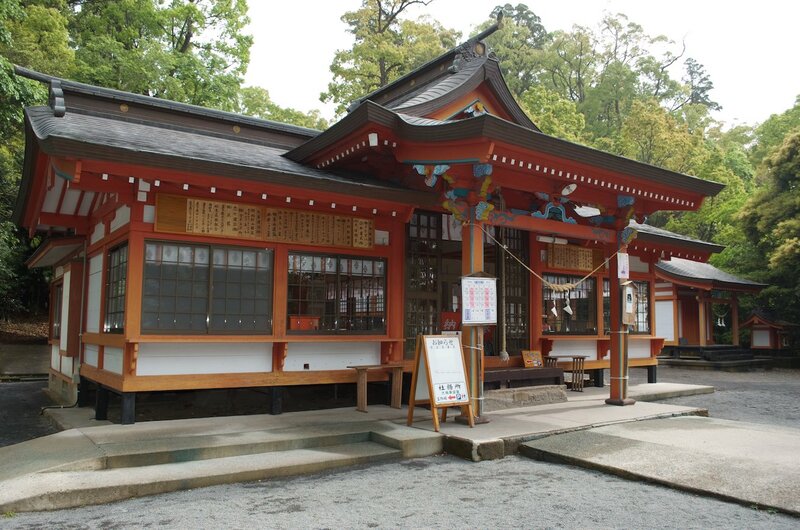 The following year, the shrine officially changed its name to Kamouhachiman Shrine. 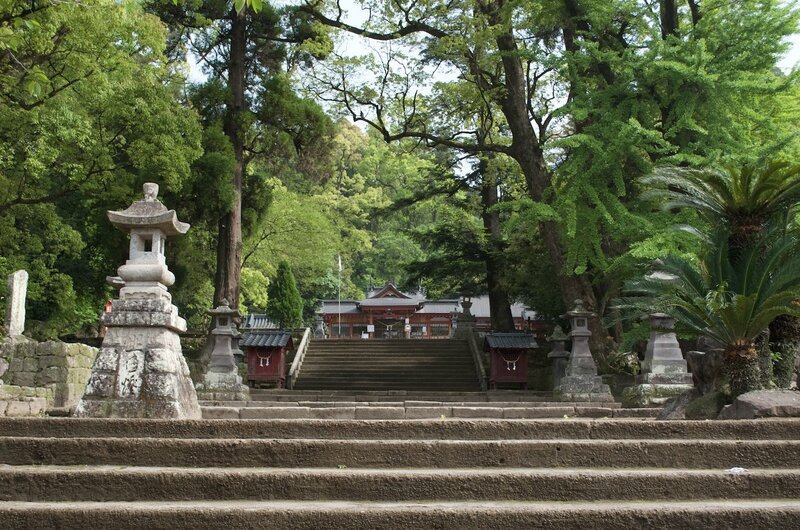 The shrine dates back to 1123 and is an offshoot of Usa Hachimangū in northern Kyushu. 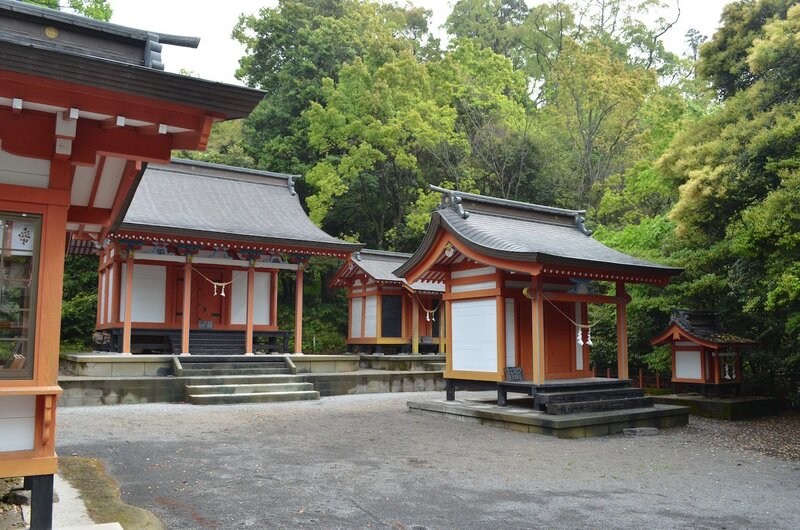 Kamouhachiman Shrine is located in Aira City, Kagoshima Prefecture. It is about a 20 minute drive from exits on the Kyushu Expressway to the north of Kagoshima City. From the city itself, it is a 40 minute drive. It is in a hard to reach area on public transit. There is no local train line that passes that close to it. 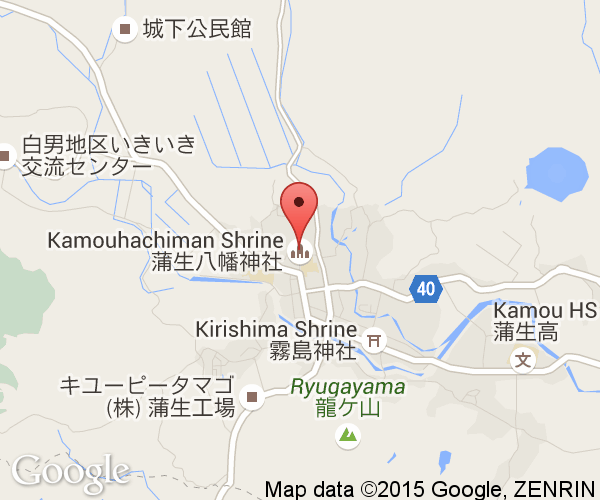 The closest stations on the Nippo Main line (Chosa, Kinko) are still a 15 minute taxi ride from it.